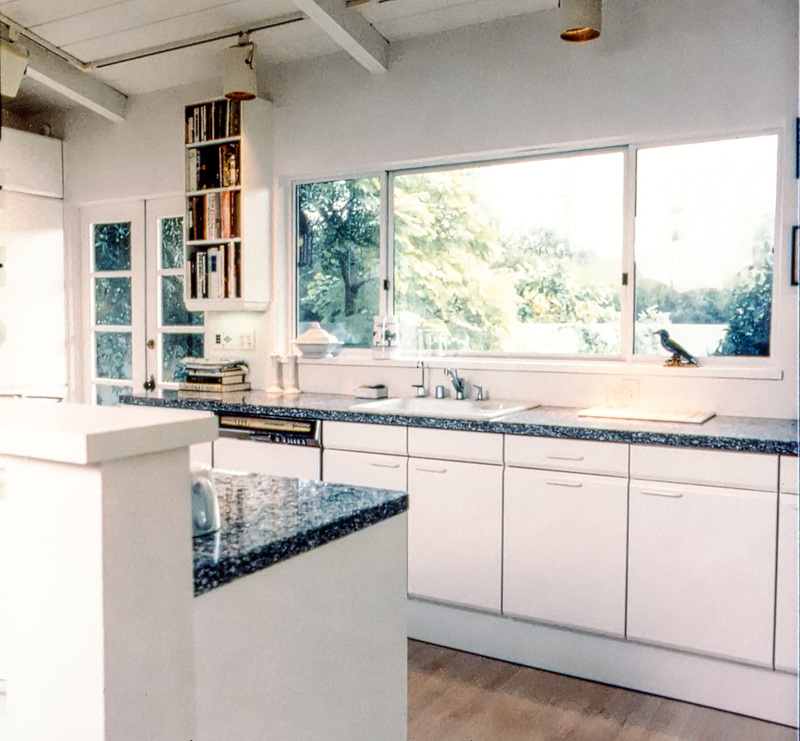 Our main task was to give the original small galley kitchen a feel that is was bigger and to bring in more natural light to both the kitchen and dining room. 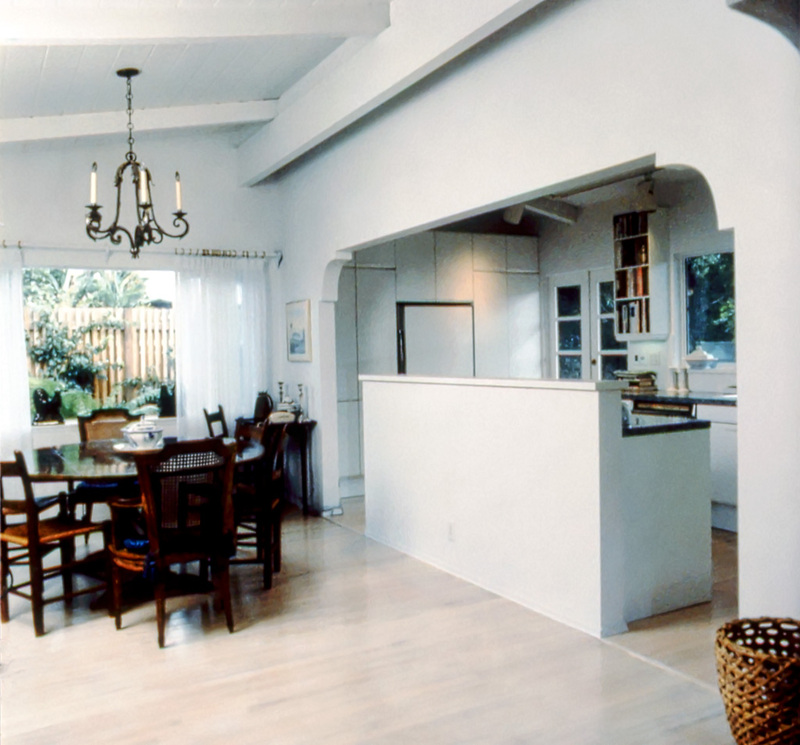 Vaulted ceiling in kitchen to match dining room. 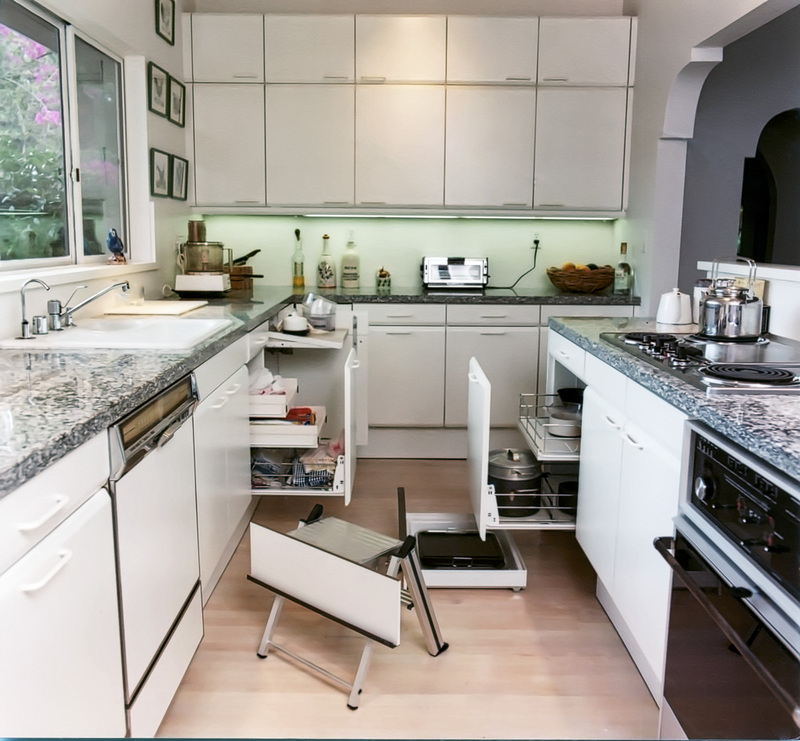 In this kitchen remodel our task was to open the kitchen up and make it feel bigger without actually adding any additional floor space. We did two things to accomplish this: First, we removed most of an original wall that separated the kitchen from the dining room. As you can see from the photos we sculpted this opening to match the existing style of the main entry to the dining room. 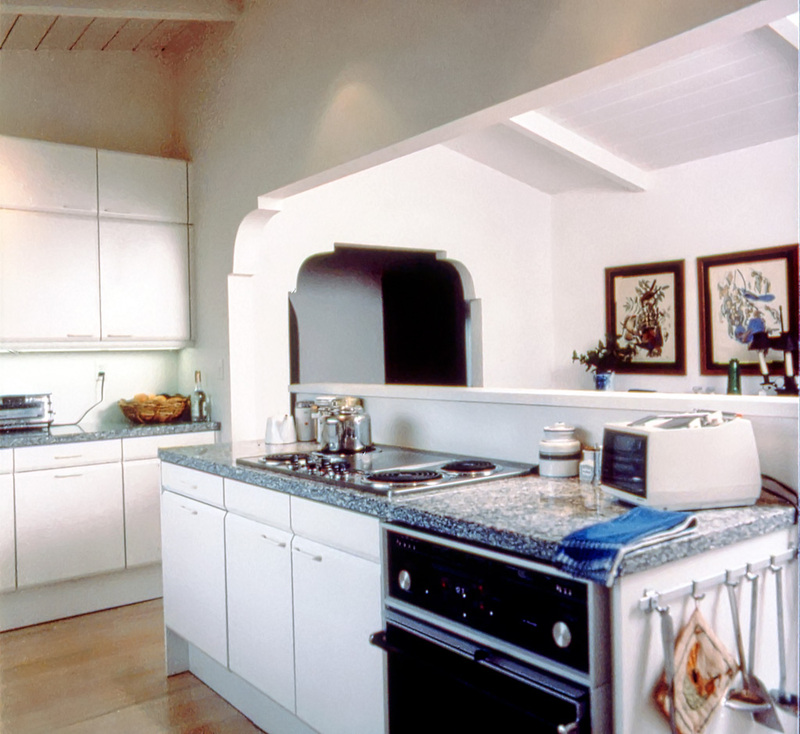 We also left a short section of the original wall 42″ tall so it would block the view of pots and other utensils on the cook top and counter from the dining area. 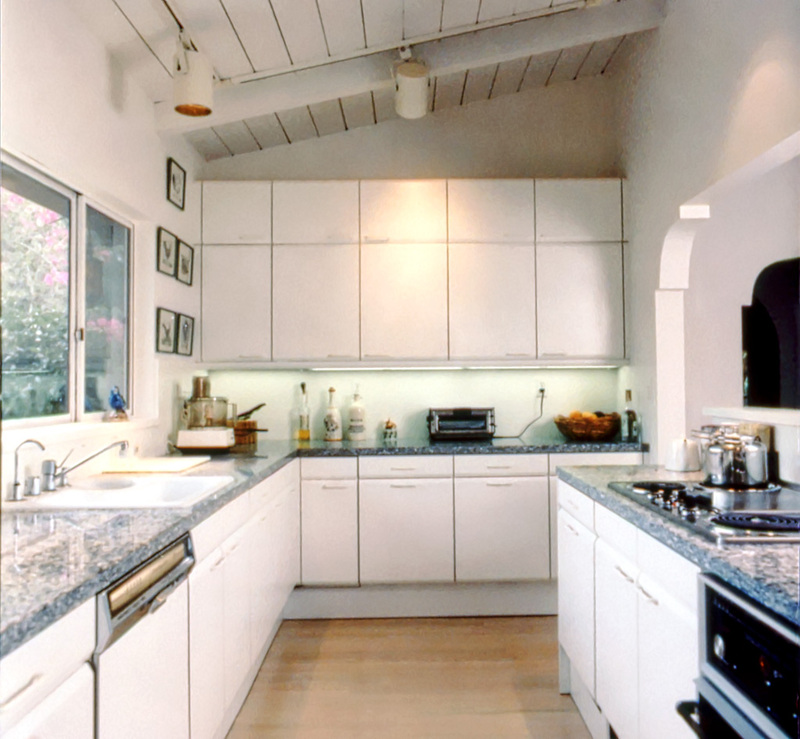 This created the depth and feeling of an island kitchen, while still maintaining the separateness and visual integrity of the dining room. The second thing we changed was to vault the kitchen ceiling to match the dining room. 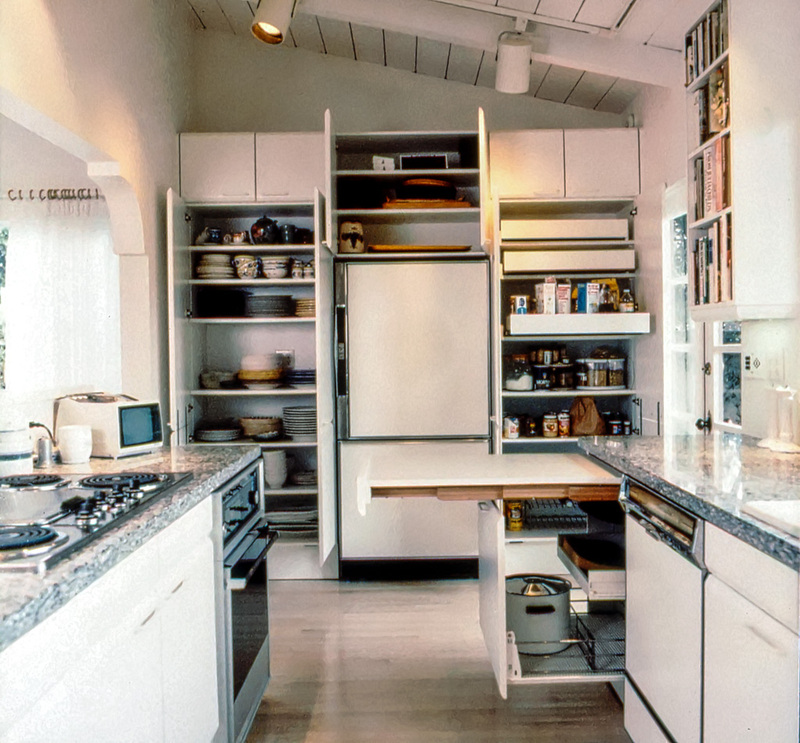 That element gave more height and volume to the kitchen which also made it feel much bigger. 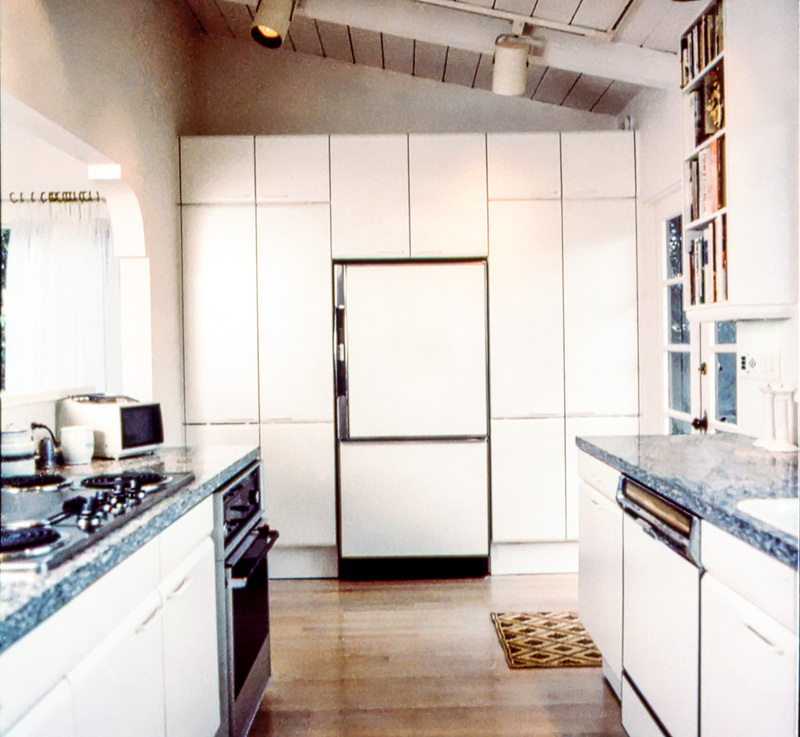 The use of new white laminate cabinets also aided in creating the feel of a bigger kitchen.